*Any other donations are tax deductible and go 100% to scholarships. We gladly accept physical gifts that can be auctioned off at the lunch. Be creative! 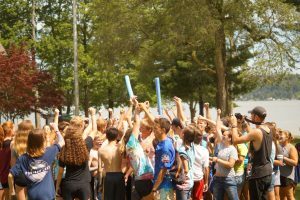 Jesus Christ impacts lives in incredible and life-changing ways at Portage Lake Covenant Bible Camp, and your generosity to the ministry of camp plays a big role in making sure each and every camper can experience Christ at camp. Because of the Golf Outing, camp is a place for truly everyone! Portage Lake gave roughly $44,000 in scholarships last year, and the golf outing is a major contributor to that resource! The Golf Outing is a consistently crucial tool in helping kids of all backgrounds and situations get to camp! And it’s tons of fun! The outing will begin with a shot gun start at The Heathlands. A lunch banquet will follow the event. 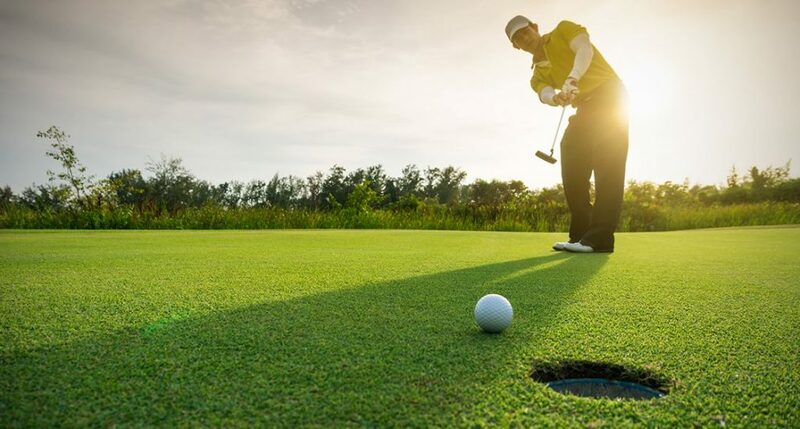 The Golf Outing is a scramble event set up to make the event enjoyable for golfers of all skill levels! Golfers will also get to meet and experience some of camp’s summer staff members throughout the round! If you do not wish to golf, consider joining us for the meal and fellowship to follow. For $250, you, your family, or your organization/company can sponsor a hole at the Outing! Sponsorship includes a sign at the beginning of the hole with your name, company or organization name, and a message. Hole sponsorships are a great way to support the ministry of Portage Lake Bible Camp as a company, group, family, or individual! 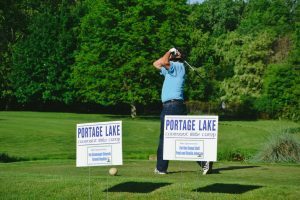 If you want more information about sponsoring a hole, contact Sam Starks at sam@portagelake.org call us at (231) 889-5911. 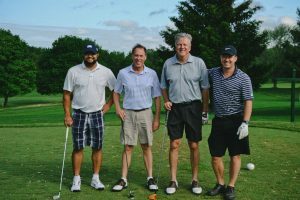 *If you cannot golf or sponsor a hole and still wish to donate to the ministry of Portage Lake, click here! Click Here for the Hole Sponsorship Form!